How does People Counting benefit railway stations? One of the biggest changes at large railway stations is the new retail environment that has been created. 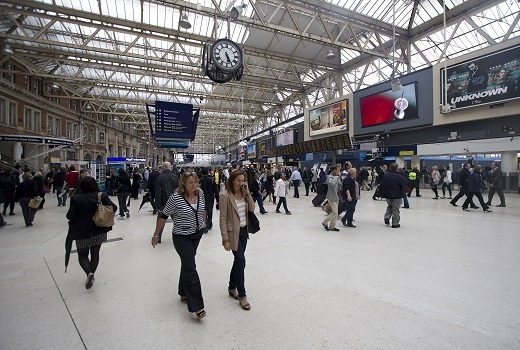 With a mix of restaurants and shops, many stations have become a destination themselves, and not just somewhere to travel – see our Network Rail case study. Through its partners, Irisys has worked with railway companies to deliver key intelligence at stations, providing real business benefits. Data from Irisys people counting systems reveals just how many people visit a station without accessing railway services. This, together with identifying areas of high footfall, allows station owners to set rents that accurately reflect the value of the retail space available. You can also look at the investments you make in additional retail space and measure the corresponding footfall to these spaces, - giving you objective ROI figures. The information generated by Irisys people counting systems helps station operators to pass on useful data to their retail partners, fostering stronger co-operation for mutual benefit. By helping your retail partners with setting and measuring KPIs such as customer conversion rates, you can increase their successes and by doing so increase the value of your retail space. 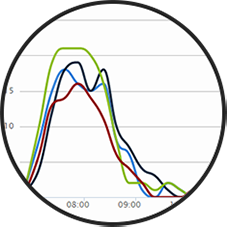 Delivering real-time information on passenger numbers and movement throughout the station, our people counting systems can give you detailed insight for planning staff deployment and scheduling, identifying and predicting passenger congestion, and where to place essential services such as passenger information and ticket sales. By measuring the usage of various facilities throughout the station, - like information points, ticket sales and washrooms, you can make sure that staff schedules accurately reflect the demand by passengers. By reducing the time your staff spend where they aren’t required and re-deploying them where they are, you can make cost savings and create a better experience for passengers and other visitors.